did you know? 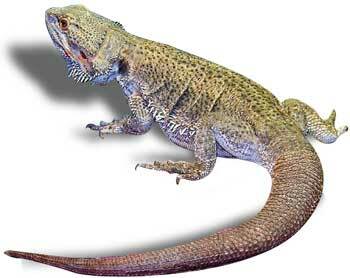 The bearded dragon’s name comes from specialized scales along the throat, neck, and head which the lizard will puff out when feeling threatened. These spiny throat projections appear similar to a human beard. 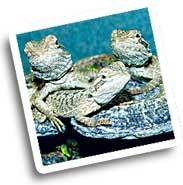 These baby bearded dragons will grow rapidly. They've obviously spotted Linda approaching with a travel size box of crickets.